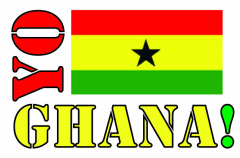 Yoo Roman Catholic - Yo Ghana! Yoo Roman Catholic Junior High School is one of the Teach For Ghana partner schools. The school is situated in Savelugu in the Northern region of Ghana and has a population of about 450 students. Yoo R/C started letter exchanges early this year with Yo! Ghana and has seen its students excited about the chance to interact with students from the United States.